Providing you the best range of ss tube roller hearth furnace with effective & timely delivery. As a trust worthy organization of this domain, we are committed to offering our clients a superior quality assortment of S S Tube Roller Hearth Furnace. 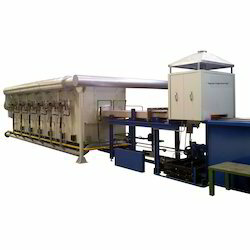 This furnace is utilized in stress relieving, tempering, annealing and normalizing. The offered oven is provisioned for high temperatures with non-metallic heating elements such as silicon carbide. At our manufacturing unit, our engineers have designed the oven adhering to international industry standards and using heavy cast material. Besides, clients can get the furnace from us at industry leading prices.